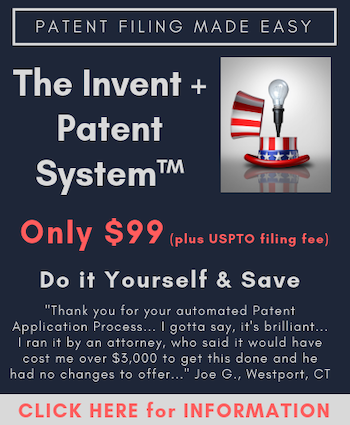 Many years ago (now fourteen to be exact), I wrote about the twin defenses of laches and equitable estoppel, as well as why patent owners should worry if they procrastinate in filing a patent infringement suit after threatening a potential infringer. See Guttag, “Laches and Estoppel: The Patentee Who Procrastinates in Filing Suit May Be Lost,” AIPLA Quarterly Journal, Vol. 31, No. 1 (Winter 2003). But just this week, SCOTUS rendered at least half of my 2003 article moot by holding that laches cannot be invoked as a defense against a claim for damages in a patent infringement action. SCA Hygiene Products Aktiebolag v. First Quality Baby Products LLC. In doing so, SCOTUS also overturned a quarter of a century of Federal Circuit precedent known as the Aukerman presumption that a six-year delay in filing suit after the patent owner knew or should have known of the alleged act of infringement would create a presumption that laches had occurred. But what about laches’ “evil cousin” known as equitable estoppel (sometimes and hereafter referred to simply as “estoppel”)? Consider also that the defense of estoppel, if successfully asserted, is (or was) a complete bar to any recovery by the patent owner, including the denial of an injunction (i.e., equitable relief) against further infringement. Did SCOTUS’ ruling in SCA Hygiene Products also render that defense moot, as well as the remainder of my 2003 article, as well as a my 2010 IPWatchdog article I wrote on the Federal Circuit case of Aspex Eyewear Inc. v Clariti Eyewear, Inc.? See Guttag, Time Bomb: CAFC Says Threat + Waiting 3 Years = Estoppel. If estoppel is factually shown to have occurred, is the patent owner’s patent infringement action barred completely by the estoppel, or only from being granted an injunction (i.e., an injunction being an equitable remedy, versus damages being the legal remedy)? Needless to say the answer to each of these three questions remains in doubt. It is also a given that whatever the district court rules on any of these three questions it will be appealed once again to the Federal Circuit. It is also entirely possible that whatever the Federal Circuit says (on remand from SCOTUS or on appeal from the district court) about these three questions (by panel decision or potentially en banc) will once again land in the lap of SCOTUS on a petition for certiorari. The only certainty we have is that the continuing vitality of estoppel as a defense, as well as what impact it might have if it remains “alive and well” as a defense remains completely uncertain. So stay tuned for the next several years or so as we watch in wonder (and likely frustration) to see if the “evil cousin” of laches joins its fate, or remains a potentially deadly defense for procrastinating patent owners to worry about. Mr. Guttag has over 38 years of corporate and private intellectual property law experience on patent, trademark, copyright, trade secret and unfair competition matters, computer and Internet law, including patent application drafting, prosecution, and patentability studies; infringement and validity studies; international patent prosecution; patent and know-how licensing; consulting, confidentiality, clinical study and research agreements; trademark searches and opinions; trademark registration and prosecution; trademark freedom-to-use studies and trademark litigation and dispute resolution. Lots of remaining issues I agree. But there is another pressing question: what about a laches, estoppel or a time bar based on the statute of limitations for a correction of inventorship claim? Based on SCA Hygiene laches is out but estoppel and statute if limitations may be applicable; or may even principles associated with adverse possession. Anyway just a thought. What do you think? Interesting questions posed on the statute of limitations and correction of inventorship issues. 35 USC 286 is not a typical statute of limitations, but instead says: “no recovery shall be had for any infringement committed more than six years prior to the filing of the complaint or counterclaim for infringement in the action.” In other words, 35 USC 286 doesn’t completely bar the infringement action, but only the recovery of any damages which might have occurred 6 years prior to the filing of the complaint/counterclaim. In that regard, SCA Hygiene laches ruling is irrelevant to the bar to damages per 35 USC 286. As far as a correction of inventorship claim, the SCA Hygiene laches ruling would be relevant, if at all, to a claim for damages caused by the incorrect inventorship-it shouldn’t be relevant to when correction was sought, unless some sort of equitable estoppel occurred.